NIA CHARLESTOWN NEVIS (January 04, 2017) — A number of initiatives and projects will be implemented by the Nevis Island Administration in 2017, to help bolster the island’s economy. 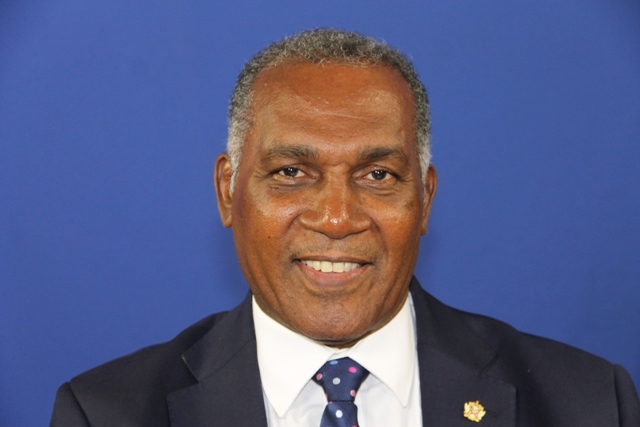 In his New Year’s Day address on January 01, 2017, Premier of Nevis Hon. Vance Amory, pointed to a number of areas the administration would focus on, including the island’s physical and economic infrastructure. “In 2017 we will witness the implementation of the following new projects and initiatives: The development of new hiking trails and the Natural Park for the enhancement of our Tourism Product; The construction of a $6 million new berthing facility at Jones Bay, which will enhance the Water Taxi Service; The reconstruction and rehabilitation of a number of government buildings as a means of reducing government’s rental expenditure,” he said. There will also be the establishment of a fully operational K9 Unit Programme in Nevis, to support the work of the law enforcement officers in the administration’s fight against crime. Twenty-seventeen will also see the reconstruction of the Treasury and Inland Revenue Building in Charlestown at a cost of $6 million. A Community Centre in Rawlins Village will also be constructed. The rehabilitation and construction of the Shaw’s Road and the Brown Hill Road projects will form part of the ongoing water project,” he said. Mr. Amory also stated that Phase 2 of the School Maintenance Programme would commence and, so too, would work on the development of a 400m all weather Mondo track for the development of athletics. The last project he listed, was the construction of 54 affordable houses across the island. The project will be facilitated by a $10million loan from the St. Christopher and Nevis Social Security Board.